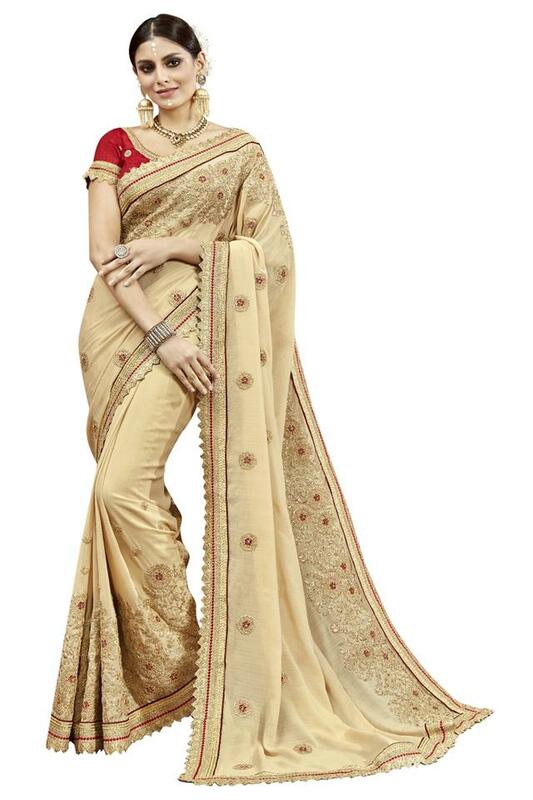 Women, who swear by classy fashion will surely love this saree from the house of De Marca. It comes with an embroidered pattern throughout that marks its design quite distinctive. Besides, it has been crafted with care using a chiffon fabric, which lends it a classy finish. If you are in search of a new saree then check out this one. Ideal for wedding occasion, you can wear it with a pair of sandals to complete your look.